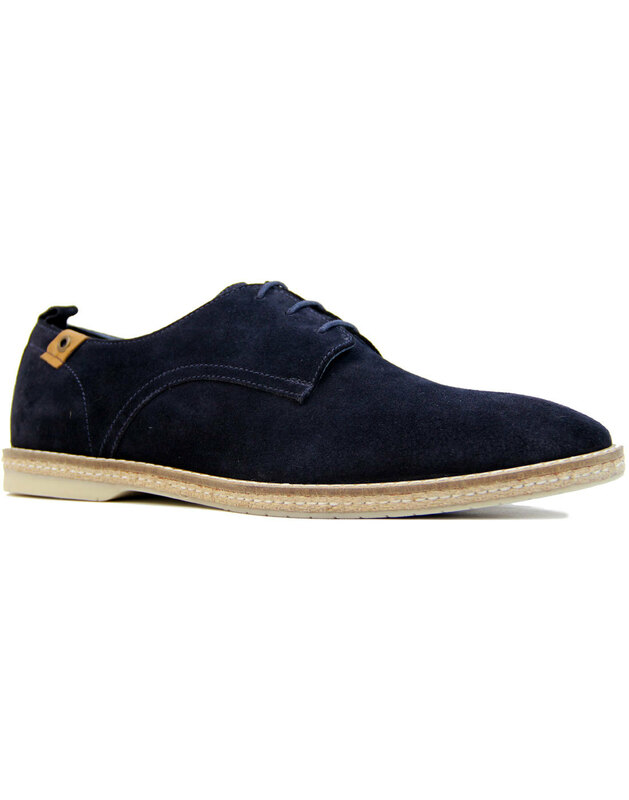 Paolo Vandini 'Ramsey' Men's Mod suede Derby shoes in navy. A cool contrast Retro outsole fuses Vintage jute rope detailing with a contemporary rubberised grip and heel. The simple 3 eyelet lace fastening and tonal stitch finish ensures a clean and sharp Mod edge. 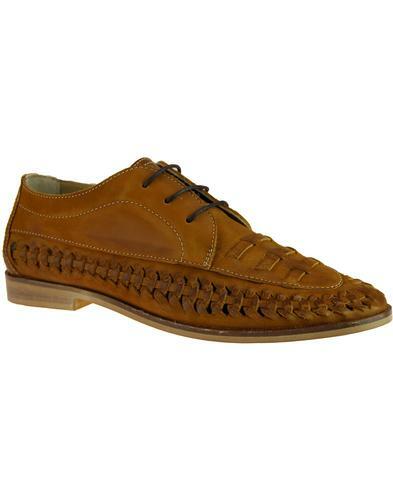 The finishing touch is the tan leather eyelet trim that accentuates the outer side of the foothole. Loop to back to help ease the shoes on and off. A hint of Ivy League style means that these classic 'Ramsey' suede Derby shoes go perfectly with hopsack trousers and button down Oxford shirt. - Paolo Vandini 'Ramsey' men's 60s mod suede Derby shoes in navy. - 3 eyelet lace fasten. - Jute rope Espadrille detailing to sole. - Tonal stitch to upper. - Tan leather side tab with metallic eyelet for added visual appeal. 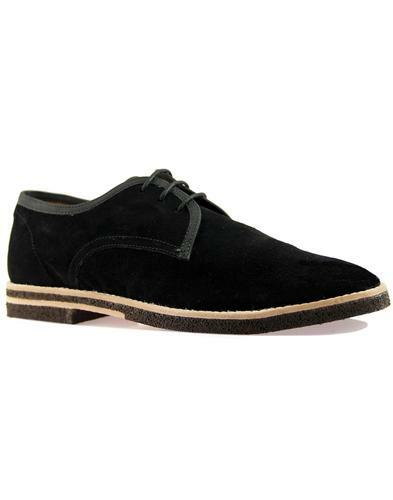 - SKU: Ramsey Suede Shoes. 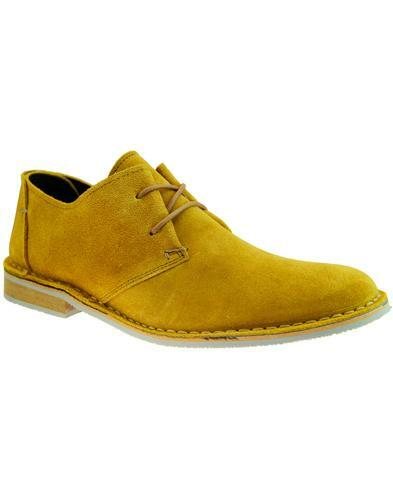 Suede upper, leather inner, other outsole.